Odds are already out on who will win the NCAA Basketball tournament at top sportsbooks like Sportsbetting.Ag. But as we move closer to Conference Tournament dates, what are the probabilities of the top teams? 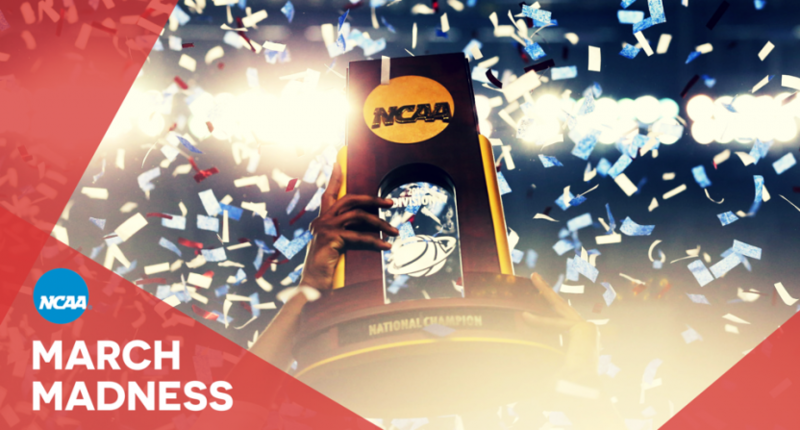 Are the AP Polls correct or should we be looking at beyond the NCAAM rankings? The Top-5 in both the AP Poll and the Coaches Poll are finally aligned. Tennessee leads the way on both polls, followed by Duke, the Zags, UVA, and Kentucky. Ok, so the consensus is that Tennessee is the best team in the country. So they should be the favorites to win the big tournament in March, right? Wrong. The favorite is Duke by far at +177 to win it all. The Tennessee Volunteers +750 odds are nothing to scoff at but according to NCAAB handicappers and lines-makers, they are almost seven-times less likely to win the Big Dance than the Blue Devils. OK, Duke is No. 2 in the Polls —though they could move to No. 1 at any time— and they are the top team on the odds boards in Vegas. But do they line up at the top spot according to renowned statisticians? The answer to that is yes. Ed Feng, a Stanford Ph.D. of applied math, has Duke at No. 1. We should pay attention to Ed’s algorithms on ThePowerRank.com because he predicted Villanova last season. He literally has this down to a science. How about the rest of the top ten? Woah … That is a vastly different Top-10 than the AP. Though the power ratings at TeamRankings look similar. Their projections in order are Duke, Gonzaga, Virginia, Michigan State, UNC, Tennessee, Kentucky, Michigan, Nevada, Purdue. Ed Feng hasn’t put out his March Madness predictions chart yet, because we don’t have the actual seeds for each region yet. But last year he had Villanova at 29.2% to walk away as Champions. TeamRankings currently has Duke at 28%. We can assume that the Blue Devils will come in somewhere around there (depending on the starting bracket) after selection Sunday. We have established that Duke is the top team in both major analytical sites, No. 1 in Las Vegas and No. 2 in the Polls (for now). So, it is clear that they are the most likely candidate to win it all this season. The Zags and the Cavs are also the top three in Vegas and my top analytical sites. The oddball here is Tennessee. Sure, they are winning in the SEC, but their only really big win came by three points against Gonzaga. If they were playing in the Big 10 or the ACC would they be undefeated in conference? That’s highly doubtful. So why is the AP so high on them if all the statisticians and handicappers have them back around No. 6? The point here isn’t to tear the Volunteers down. They are a great basketball team; one of the best in the country. But don’t buy into the No. 1 thing and throw any early money on them winning it all in March Madness. It just isn’t going to happen. If you had to drop early money on a team with value, it would be the Spartans. At +1575 they are worth throwing a couple of dollars at to win it all, especially since they are projected at a 25.7% chance of making the Final 4 and 6.1% chance of winning it all. The Vols are at 200% less valuable at +750 and have a slightly worse probability at a 5% chance of winning.